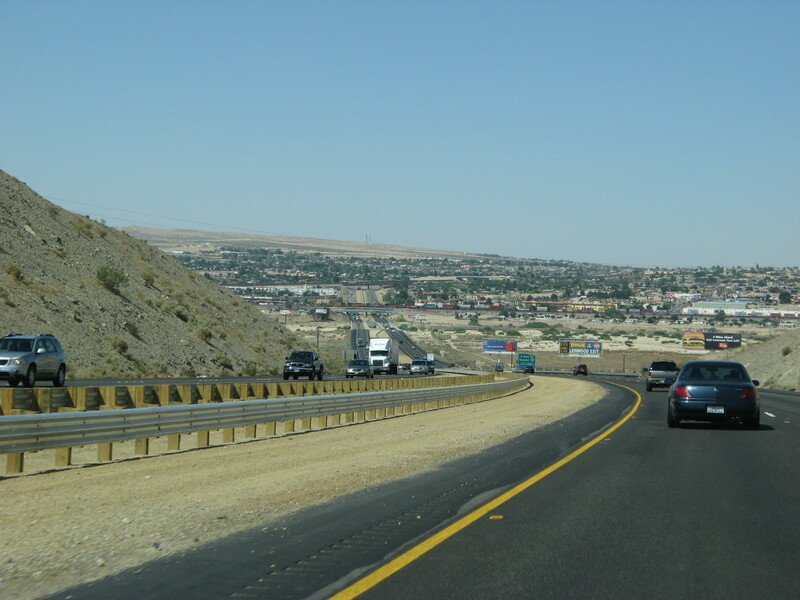 We'll start with a quick pic of I-15 NB just north of Barstow. 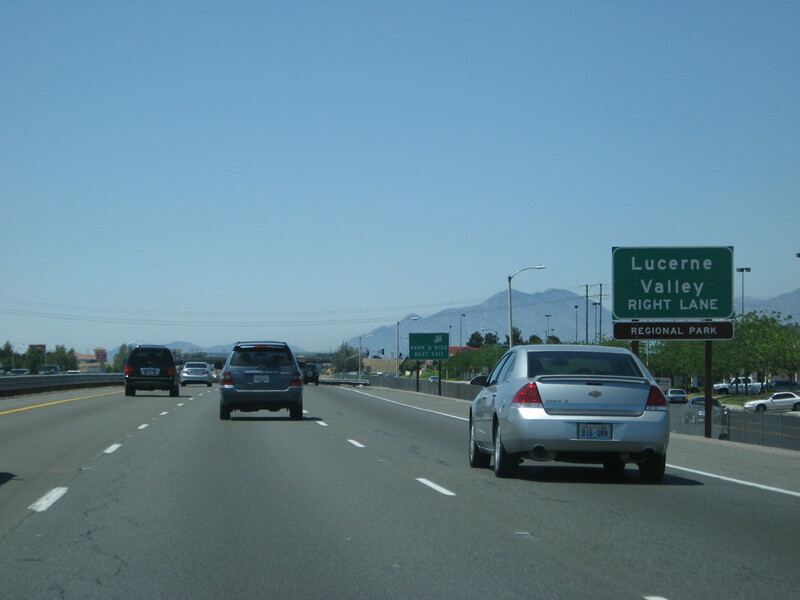 Again on I-15 NB. 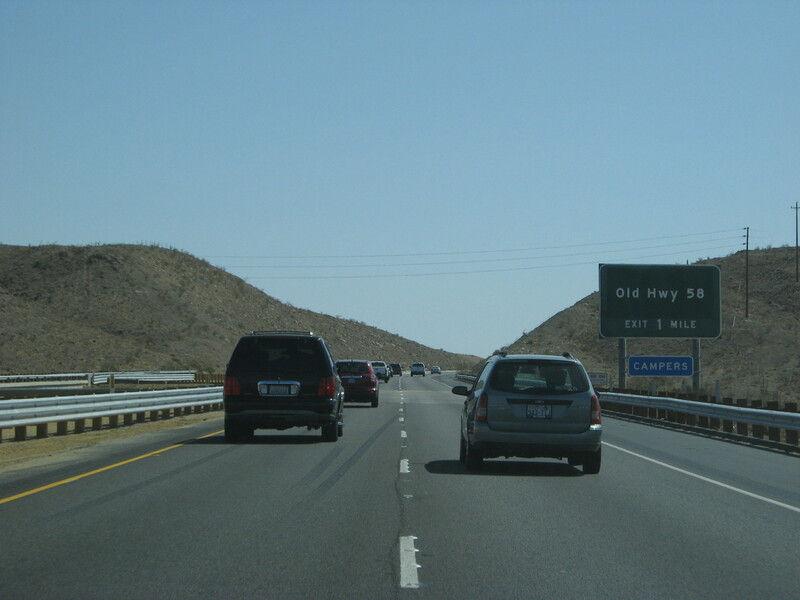 CA 58 has apparently been rerouted in this area. 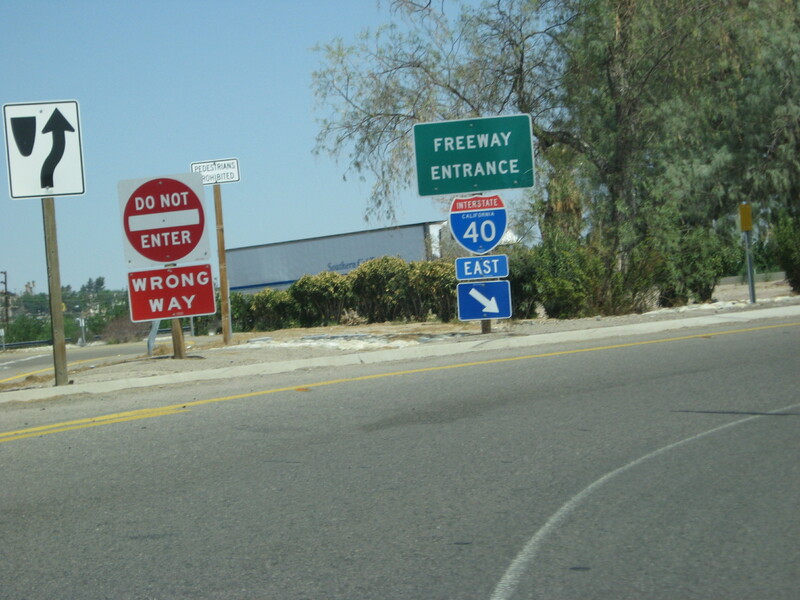 Here is the exit. 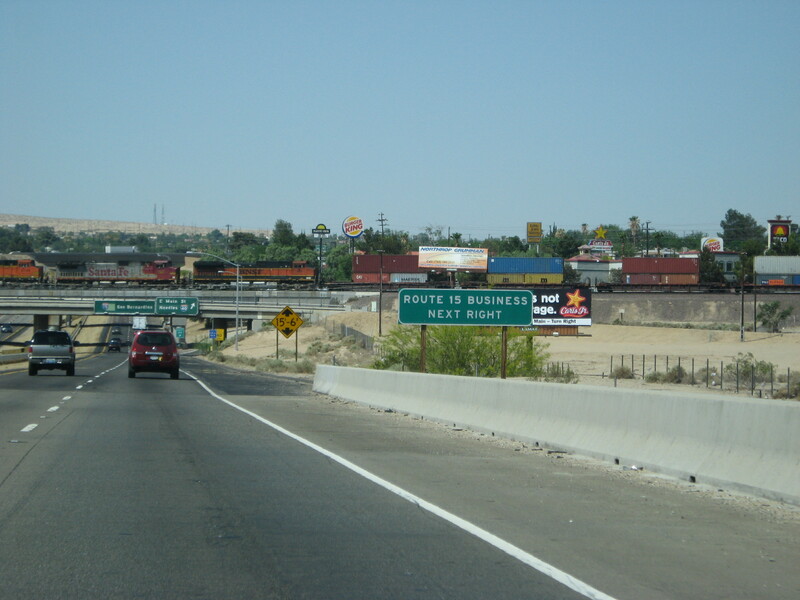 Some I-15 shields at the Old CA 58 exit. 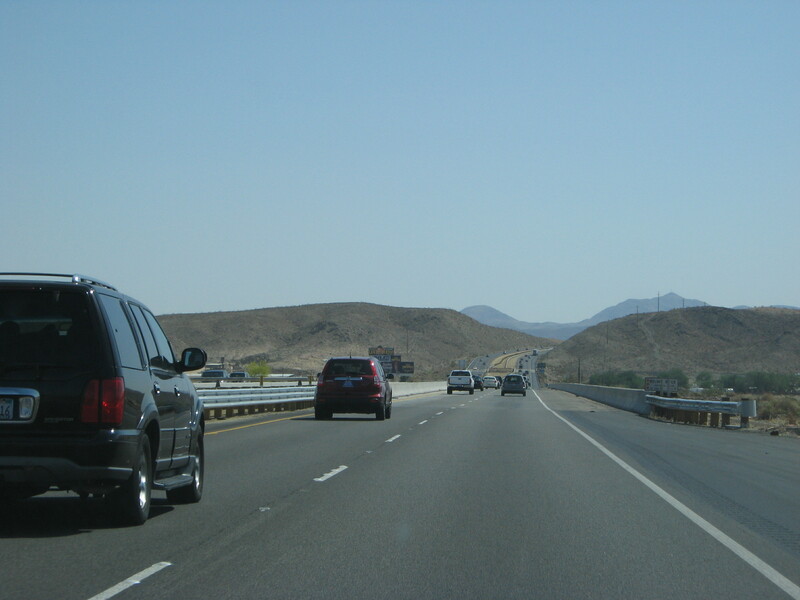 That would be Barstow down there. 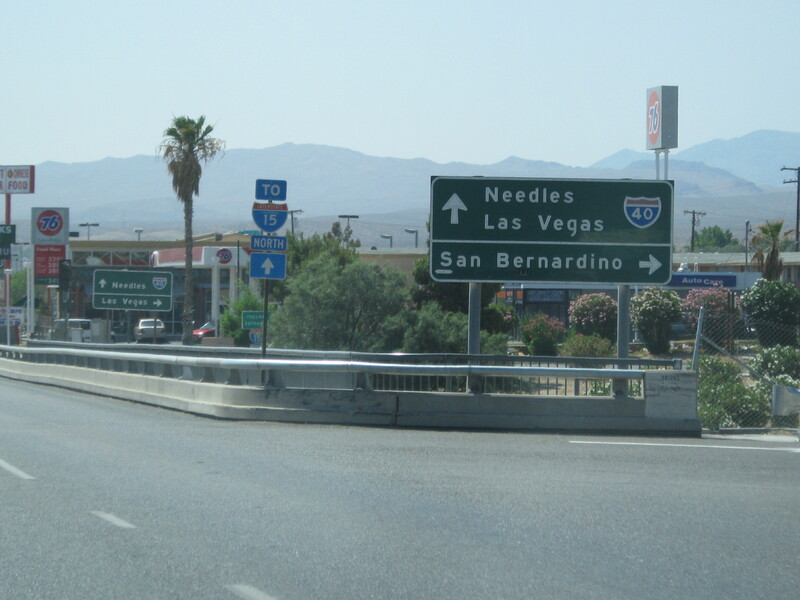 Barstow is not too visitor-friendly. A few cheap motels and really bad fast food. That's it. 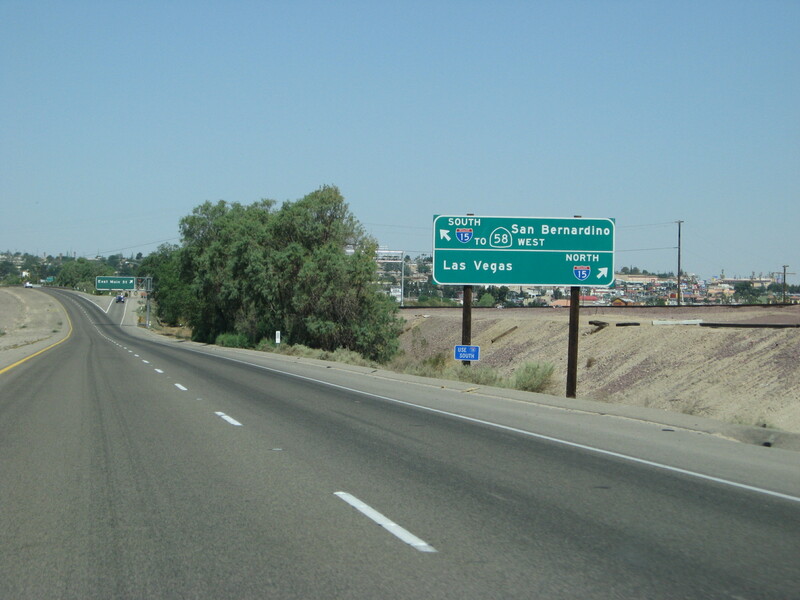 But it is a Route 66 town, so it's cool. 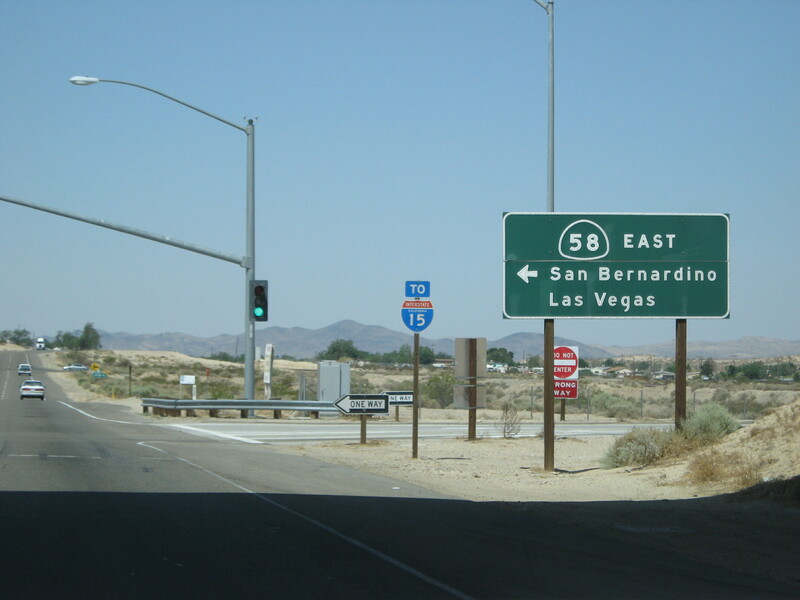 Interesting how they spell out the Business Loop for I-15 through Barstow. 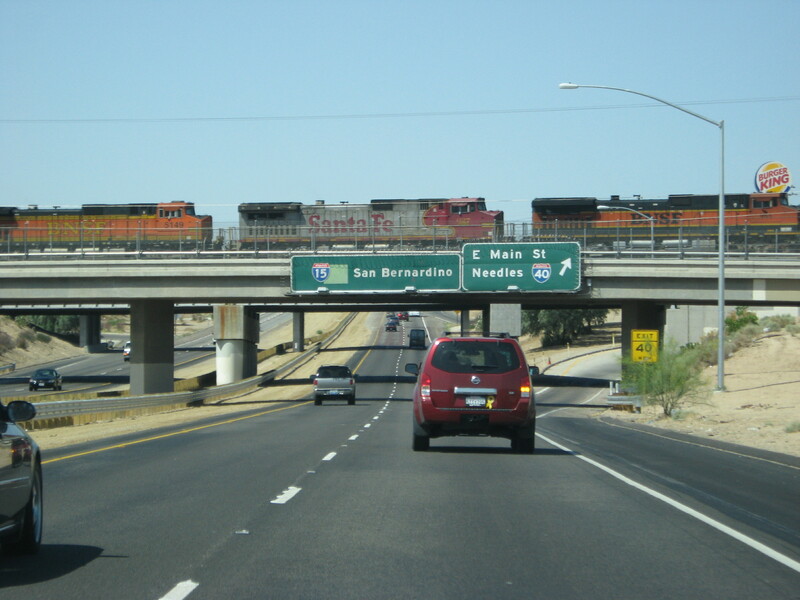 From what I've read on other roadgeek web pages, that light green box on the left BGS covers up an old US 91 shield. 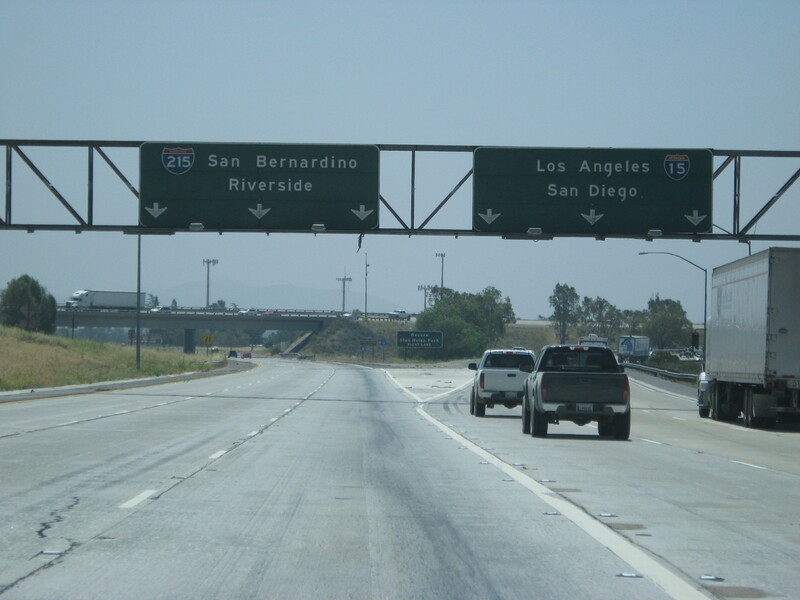 I'm sorry, but California has the ugliest interstate shields ever. Okay, so I'm not sorry. 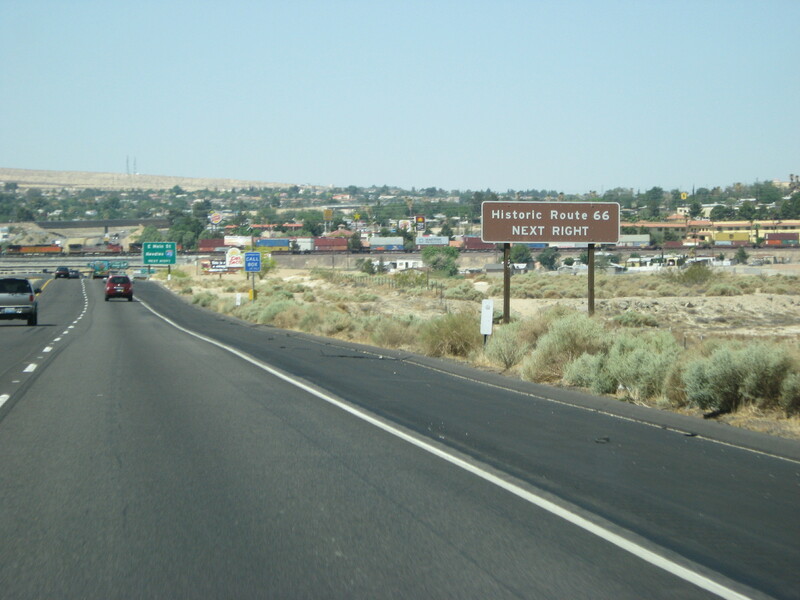 Entering I-40. 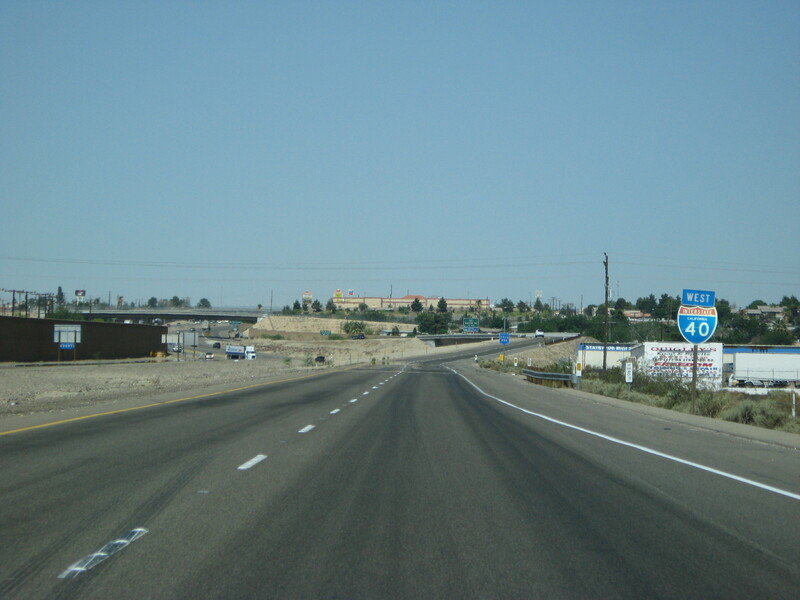 This is the second-furthest west I-40 shield. 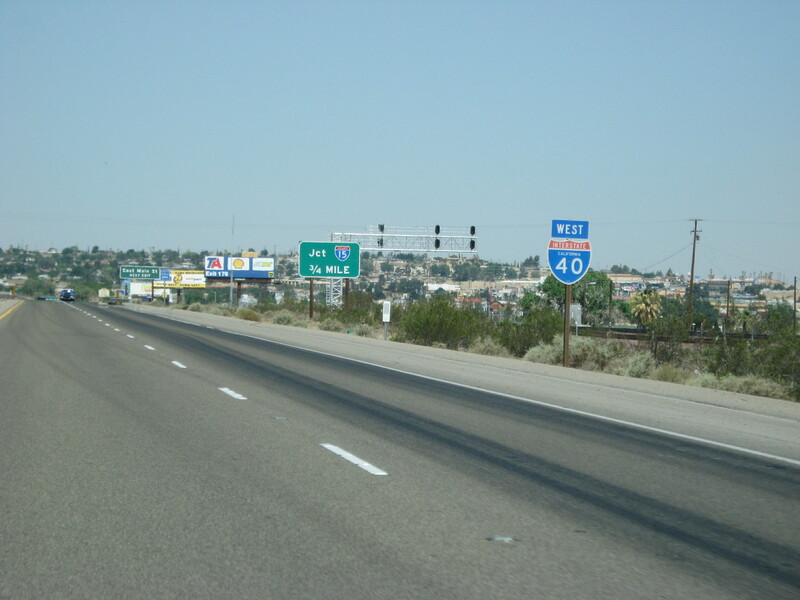 Directions to I-15 and CA 58 from I-40 Westbound. This is the furthest west I-40 shield. Ever. 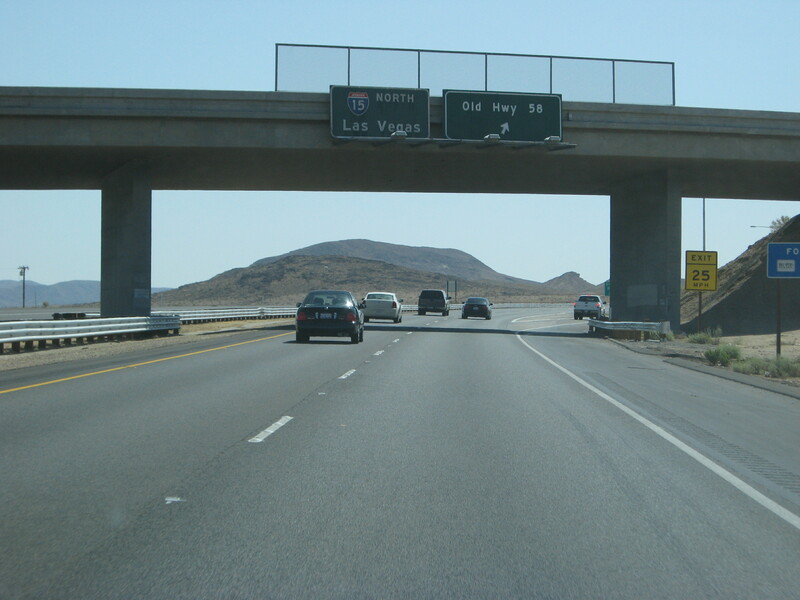 And this, my dear friends, is the last view of I-40 you see before it merges with I-15 SB. 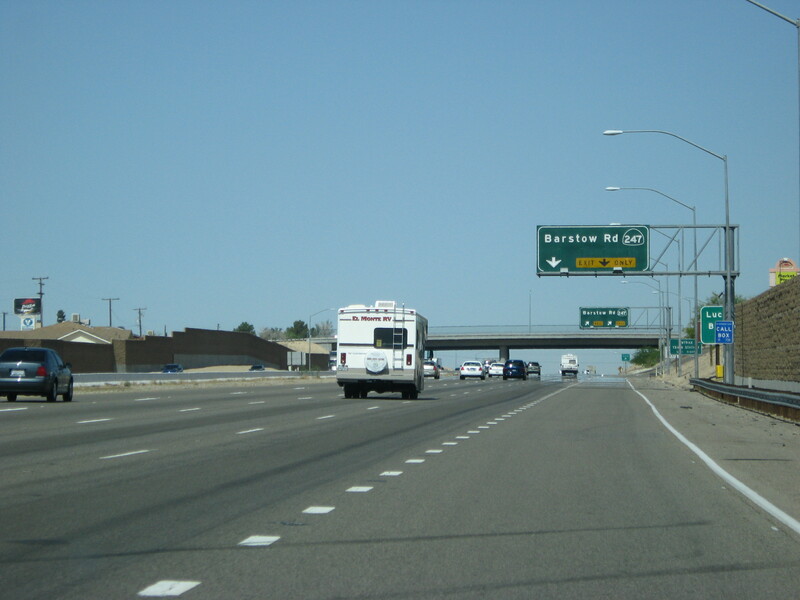 Barstow Road is the next exit past I-40 on I-15 SB. 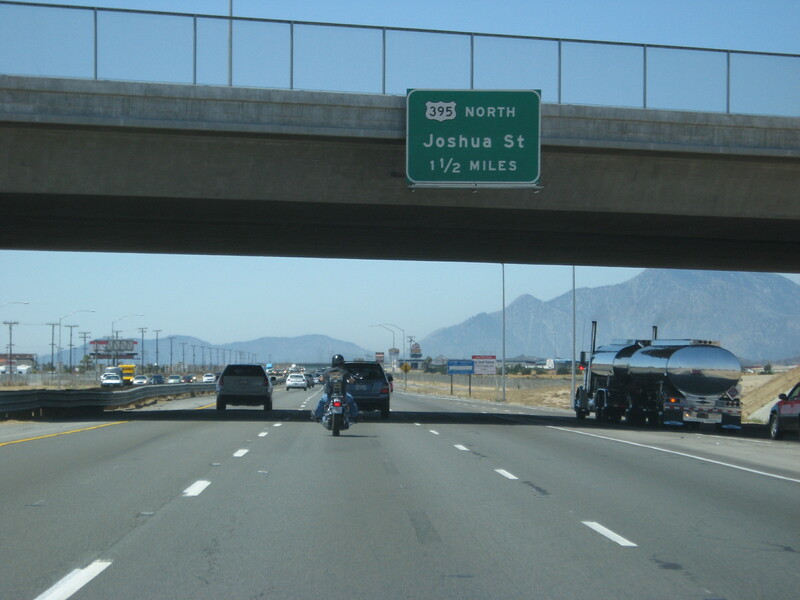 Quick U-turn to go north on I-15. The left BGS has a hidden US 91 shield and the right BGS has a hidden US 66 shield. Where the green squares are. 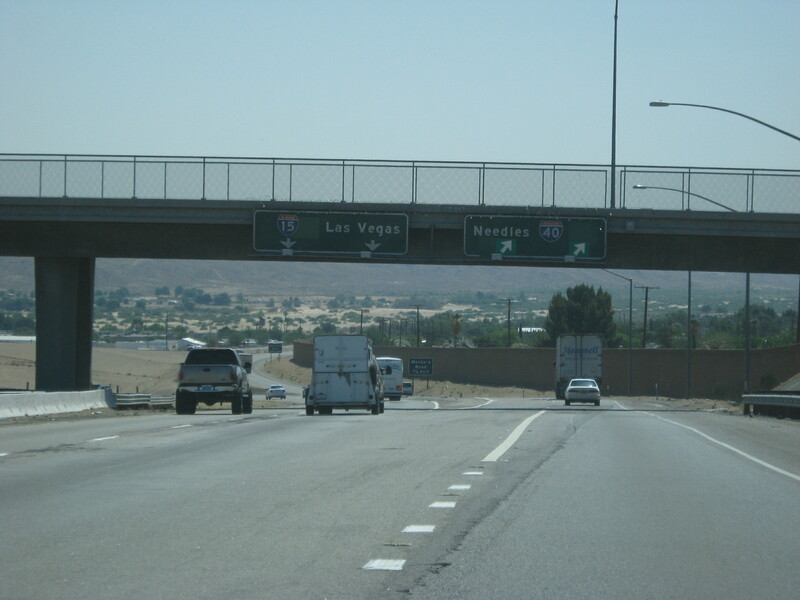 I-15 is on the left and I-40 is on the right. Oh boy! 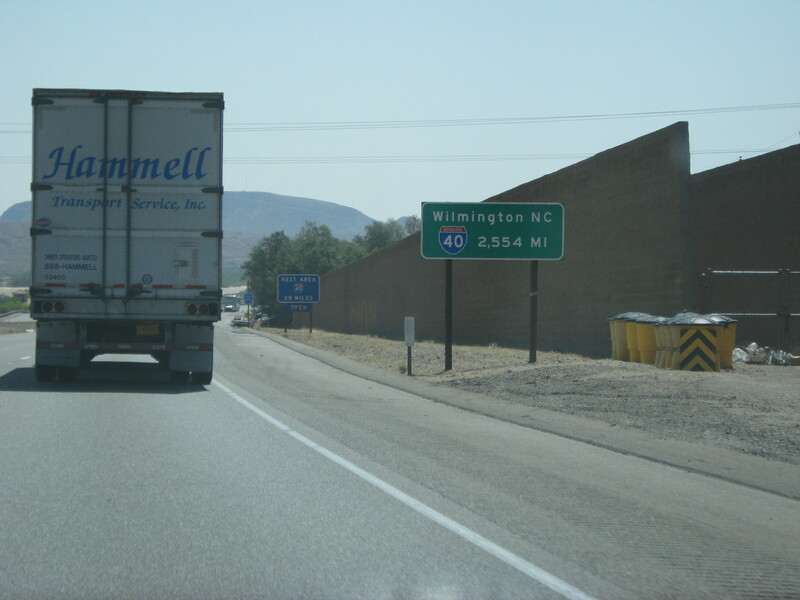 Wilmington, NC, is only 2,554 miles away! Random BGS for CA 58. 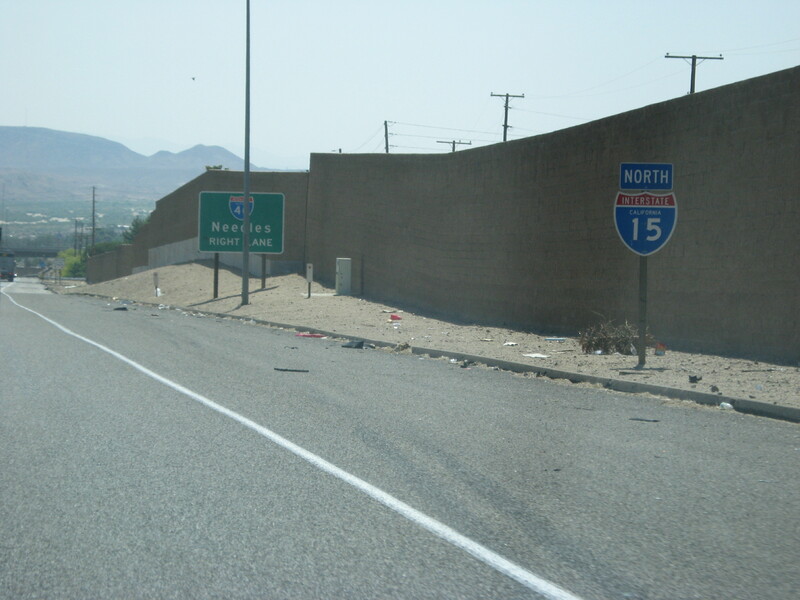 I-15 SB now, south of Barstow. 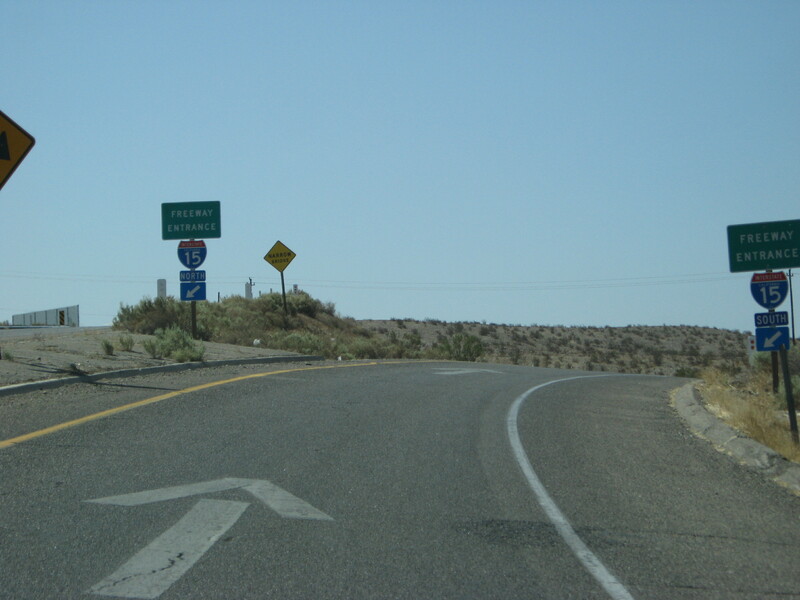 This is the southern beginning of US 395, which runs all the way into Washington state. Oh boy! 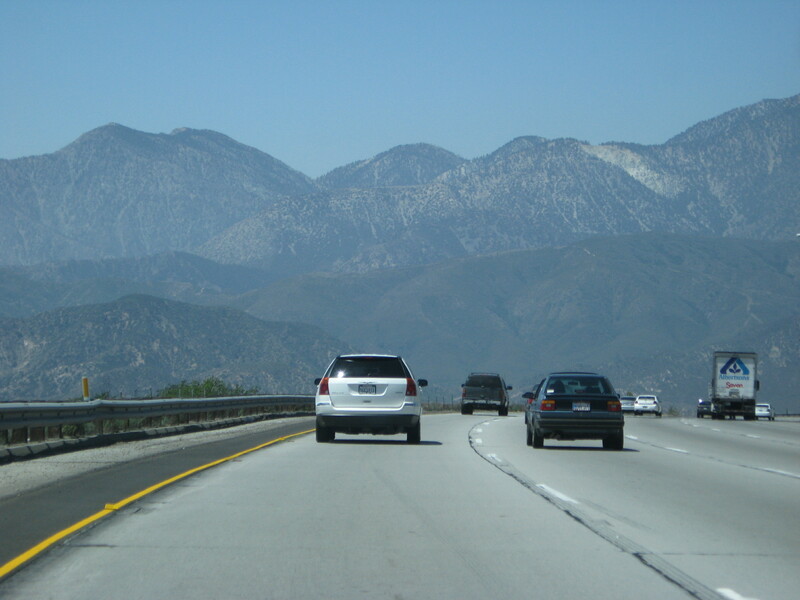 Mountains! 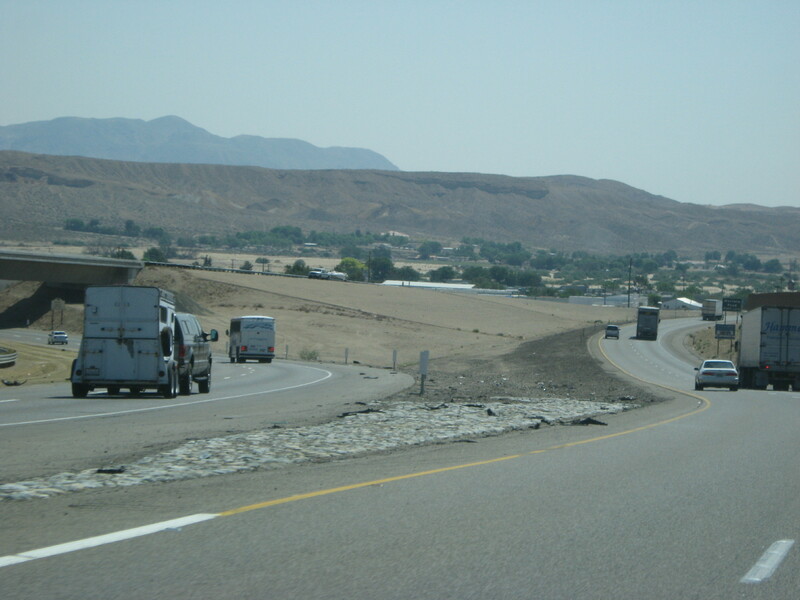 Where I-215 begins near San Bernardino.